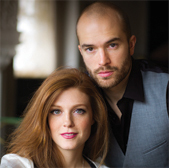 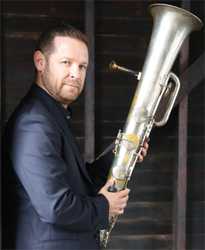 Composer-Producer William Perry has played a major role in the revival of interest in silent films, both through his more than 100 silent film scores and through his Emmy Award-winning TV series The Silent Years, hosted by Orson Welles and Lillian Gish. 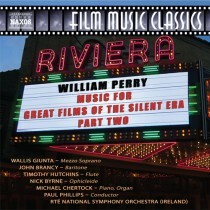 A rich array of Perry's film music was presented in the critically-acclaimed Naxos recording, Music for Great Films of the Silent Era (8.572567). 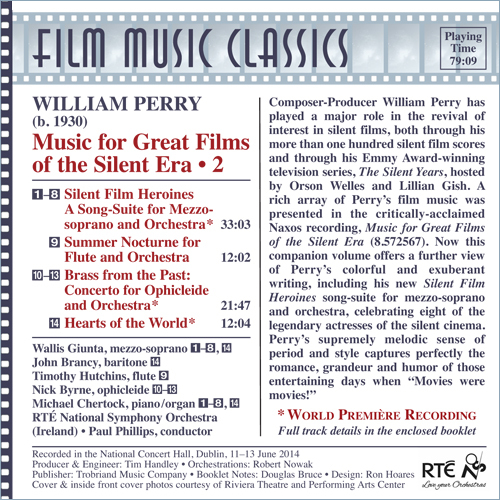 Now this companion volume offers a further view of Perry's colorful and exuberant writing, including his new Silent Film Heroines song-suite for mezzo-soprano and orchestra, celebrating eight of the legendary actresses of the silent cinema. 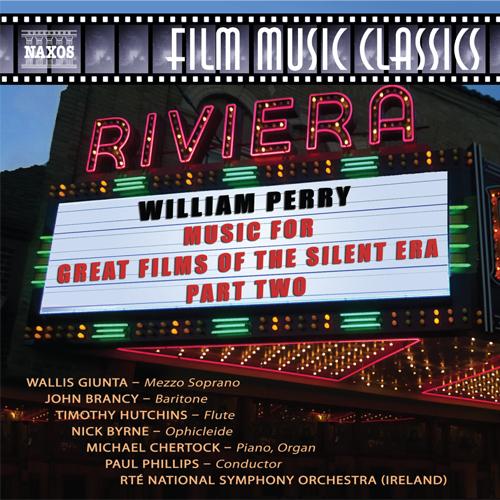 Perry's supremely melodic sense of period and style captures perfectly the romance, grandeur and humor of those entertaining days when "Movies were movies!"